In the new game, players can choose between five characters from House Forrester, offering five different perspectives. However, actions taken by one character may have repercussions for the rest of the family. 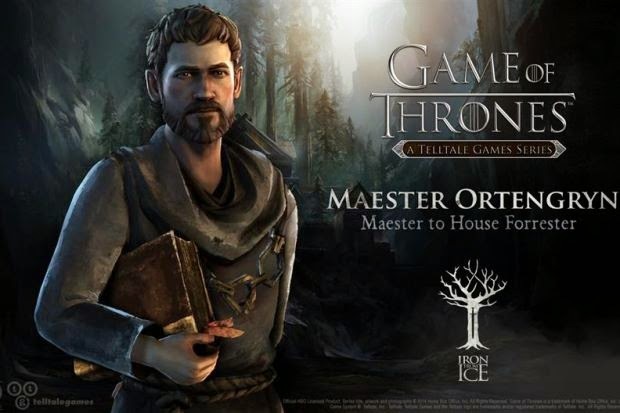 Even if the Forrester name doesn't ring a bell, Game of Thrones fans are sure to find a few familiar faces and settings in the game. Tyrion Lannister (Peter Dinklage), Cersei Lannister (Lena Heady), Margaery Tyrell (Natalie Dormer) and Ramsay Snow (Iwan Rheon) all feature in the gameplay, which also includes some of the most recognisable settings from the TV adaptation (King's Landing, The Wall, etc.). The Game of Thrones videogame series will consist of six episodes. The first, titled Iron from Ice, is available for download for PS4, PC and Mac. Versions for Xbox One and Xbox 360 will be released Dec 3, ahead of those for iOS (Dec 4) and PS3 (Dec 9). The adaptation hails from Telltale Games, the developer behind a successful game based on another current cable TV hit, The Walking Dead. Two seasons of the game based on the zombie series have already been released, and the third is due out in 2015.